This is my first non technical blog. Rather, it is about career and personal development. Why did I want to achieve MCSE Data Platform? Well, at first I didn’t. It seemed like a million miles away from where I started. 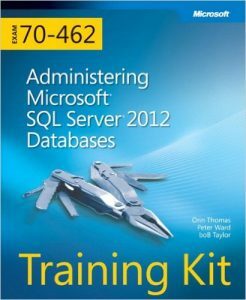 My initial goal was just to pass the 70-462 exam (Administering Microsoft SQL Server 2012 Databases) as my boss had suggested it would be a good thing to learn. This was the first I had heard about Microsoft certifications. From there, with each subsequent exam pass, I just extended my goal to MCSA SQL Server 2012 and then MCSE Data Platform. I had set the target of passing 70-462 by the end of 2013 which would be just over 1 year as a DBA. The great thing about the certification is you can do the 70-461, 70-462 and 70-463 in any order. Since most of my limited knowledge was about Database Administration and the subject I needed to learn most about initially was also Database Administration, this was a no brainer.